In 2006 Anthony Minichello was operated on for a disc problem in his spine that threatened to end his professional Rugby League career. It was just a year earlier that he won the Golden Boot award as the game’s best player, so the back injury and diagnosis the he would require surgery was a devastating setback for him. As most athlete’s do, he accepted the diagnosis the doctors gave him, did as he was told and had the surgery on damage at his L4/L5 disc. He followed this up with intensive rehabilitation and the following year resumed playing. But in early 2007 a second disc problem at L5/S1 arose and the doctors, for the second time, prescribed surgery as the solution. Again he followed the advice to have the operation to repair the disc and again after months of intensive rehab, he lined up for the 2008 Rugby League season as determined as ever. Unfortunately, just as before, his back pain returned, and once again the Doctors told him he would probably need a third surgery. This time however he resisted the idea and took the advice of his mate, triple world champion boxer, Jeff Fenech who told him to forget the surgery this time and consult SLM Bodywork therapist Steve Lockhart. 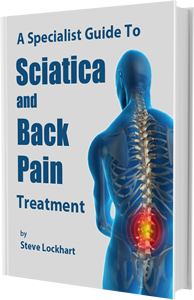 He had just six SLM treatments with Steve in early 2008 and hasn’t had a problem with his back since. That was six years ago and close to 150 games of professional Rugby League at the highest level and no re occurrence or symptoms at all. In 2010 as reported in The Daily Telegraph, leading Sydney surgeon Merv Cross described him as a ‘modern day medical marvel’ and said his fightback from serious his injuries as ‘nothing short of incredible.’ (He also suffered from a bulging disc in his neck in 2008 that Steve treated twice allowing it to heal up completely over the next month). Of course the doctors had their part to play but without looking beyond the repair work his spine needed and continuing to have surgery when back pain returned, he would quite possibly have finished his career way back in 2008. As with Merv Cross, I’m sure they believe his recovery is totally due to ‘successful surgery’, with no idea of what happened post his second surgery. As with most treatments with conventional medicine, nobody was addressing the underlying cause of his problem, but rather just operating to remove the subsequent damage and the symptoms. It appeared they believed this was all that would be required to get his career back on track pain free. An impossible task for someone competing in such a grueling sport at such a high level. Luckily for Anthony he kept an open mind and was prepared to look beyond physiotherapy and back surgery for the answer, against the advice he was getting. The real problem that caused Anthony’s disc bulge and nerve pain, was a hip injury he had suffered 9 months before his back and nerve pain first arose. According to Anthony this injury was treated by his team medical people with strengthening and stretching exercises, and a constant supply of pain killing injections to keep him on the field as required by his coach at the time. The trauma he had suffered to his hip and gluteal muscles caused a contraction in some of the critical ones which led to a functional shortening of his right leg. This caused his pelvis to tilt down on that side, distorting the alignment of his spine and pressure to build up on his lower vertebrae and discs. Something no amount of surgery to his spine would ever fix long term, considering the force generated by the training and physical nature of Rugby League at the highest level. By finally fixing the trauma to Anthony’s hip and and restoring the function to his gluteal muscles and removing the compensations that had spread through the rest of his body, Anthony’s pelvis was re balanced and the short leg fixed. This instantly removed the pressure and irritation to his spine and the current back and nerve pain disappeared. Any question as to whether this was in fact his real problem, have well and truly been answered by the fact he has continued to play on for a further 6 years at the highest level without any recurrence of the back or disc problems. Too often people opt for the ‘quick fix’ that surgery is often promised to be, rather than a treatment that looks to restore the body’s correct alignment and mechanics. Because in most cases of chronic or recurring pain to a joint, whether it be the spine or elsewhere, this is where the solution is usually found. The injury can also be avoided in the first place by proper body management by a therapist who can pick up on a problem like this when it is still only ‘developing’ in the body and hasn’t been felt by the person yet. Even though surgery can be necessary to repair damage caused to the spine or disc’s when it has occurred, it’s important to always keep in mind that a second part of the puzzle that should also be addressed is the mechanics of the body, muscle imbalances and the pressure they are putting on the spine and discs. If you suffer from any type of joint pain, including a back problem from localised pain to a more serious nerve problem like a bulging, herniated or protruding disc, it would be wise to also consult an experienced SLM Bodywork therapist for a full assessment to determine if muscle imbalances and mechanical dysfunction are the real cause of your pain. They have been trained in the skills needed to fix these problems and restore the body to a pain free condition. The best time to do this is BEFORE you rush off for surgery or take a cocktail of drugs at the request of your doctor. That’s not to say sometimes surgery isn’t the best solution, but it is better to be sure before the fact rather than after, when it could be too late to reverse the damage it can cause.